A person commits an offense if the person is intoxicated while operating a motor vehicle in a public place. Driving While Intoxicated is a common criminal offense which affects all types of individuals. The penalties for DWI are dependent upon the severity of the offense as well as an individual’s history. DWI convictions are enhance able offenses, meaning that an old conviction will be considered in punishment of a second conviction. The same is true for any license suspension which may occur after an arrest. Intoxication can occur in one of two ways in Texas. If a person provides a specimen of blood, breath, or urine which shows a blood alcohol concentration (BAC) of .08 or greater at the time of driving then they are intoxicated by law. Likewise a person may be intoxicated because of a loss of their normal use of mental or physical faculties by introduction of alcohol, illegal drugs, prescription drugs or a combination of these. In Texas, police officers will require a DWI suspect to take a breath test using an Intoxilyzer breath test machine. The Intoxilyzer may provide an erroneous reading of 0.08 or higher. DWI encompasses numerous types of vehicles including automobiles, boats, planes, amusement park equipment and other water vessels. If a person is shown to be operating any of these while intoxicated they risk serious consequences. Minors can also be arrested for DWI. If a person is under 21 years of age and is operating a motor vehicle, they will be subject to the same penalties as an adult in both the criminal and civil case with one exception, the license suspension for a minor who provides a specimen above a 0.08 will be for 60 days instead of 90 days. 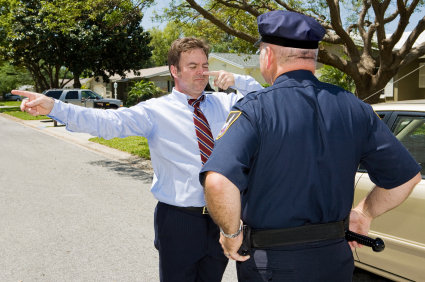 A person who is arrested for a DWI can face significant automatic license suspensions. If a person who submits to a breath or blood test has a blood alcohol concentration (BAC) at or above a 0.08, DPS will try and suspend the person’s driver’s license for a minimum 90 days to a maximum 1 year. If a person has a previous alcohol related contact, like a DWI, within ten years and they provide a specimen, DPS will attempt to suspend the person’s license for a term of not less than one (1) year. If, a person refuses to provide a specimen of breath or blood, DPS will try to suspend a person’s driver’s license for no less than 180 days and mo more than 2 years. In the case of a refusal, actions as well as words can be considered refusing to provide a specimen. The officer is not required to obtain a “no” or “I refuse”, in order to make that determination. In fact, requesting an attorney or not answering at all can also be considered a refusal. These license suspensions are completely independent of the criminal case. The burden on the Department is extraordinarily low and most people arrested for DWI suffer through some type of license suspension. If a person has a previous alcohol related contact, like a DWI, within ten years and refuse to provide a specimen, their license will be suspended for a term of not less than two (2) years. If this is a first time arrest for DWI, it will be classified as a Class “B” misdemeanor. The punishment range for a Class “B” DWI is not less than three (3) days in jail and a two thousand dollar ($2000) fine. As with DUI, alcohol education classes, community service, probation and court costs are all possibilities when facing a DWI conviction. An additional license suspension, independent of the civil case, may also occur as a result of a DWI conviction. Because this is an enhance able offense, the punishment for subsequent DWI's will included significant jail time, fines and community service hours. The Texas Legislature has also recently enacted a law which requires that the Department of Public Safety collect a surcharge from any individual convicted of DWI. This surcharge is a fee entirely separate from your criminal or civil case. If a person refused to provide a specimen or provided a specimen under 0.15, then they must pay a surcharge of $1,000 a year for three (3) years after being convicted of DWI. If a person provided a specimen of 0.16 or above, the surcharge is $2,000 a year for three (3) years. If the surcharge is not paid it can result in further license suspensions or cancellation of a person’s driver’s license altogether. The minimum amount of jail time for driving while intoxicated is 72 hours, unless there is an open container of alcohol in the person's possession, in which case the jail time is at least six days. Consuming any amount of alcohol while operating a motor vehicle also is an offense. a civil proceeding initiated by you to obtain an occupational driver’s license which will allow you to drive to and from work while your driver’s license is suspended. If you are a family member has a DWI, contact Danny Sheena's office today to discuss your case.